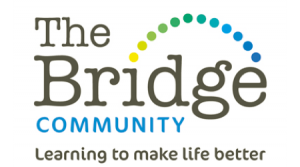 The Bridge, a registered charity was established in 1999 to engage residents of Moulsecoomb and Bevendean in a range of educational opportunities. The area is one of the 5% most deprived areas in England. They have developed a vibrant model of community learning offering a varied range of low cost or free activities. As their reputation has grown, learners from all over the City now travel to The Bridge to participate and contribute in so many ways. The centre’s information, advice and guidance services have also evolved over the years as workers came to understand the barriers that many residents experienced to engaging in learning and being able to improve the quality of their lives and of their families. Now the work extends to providing intensive back to work support and working with agencies from across the City to provide specialist advice and support to residents. I have delivered courses and workshops at The Bridge since 2003. In many ways, most of my core work has developed in partnership with them and with the hundreds of wonderful people who have come to the workshops over this time. Their trust in me and commitment to what I have wanted to offer people over the years has been vital to me.